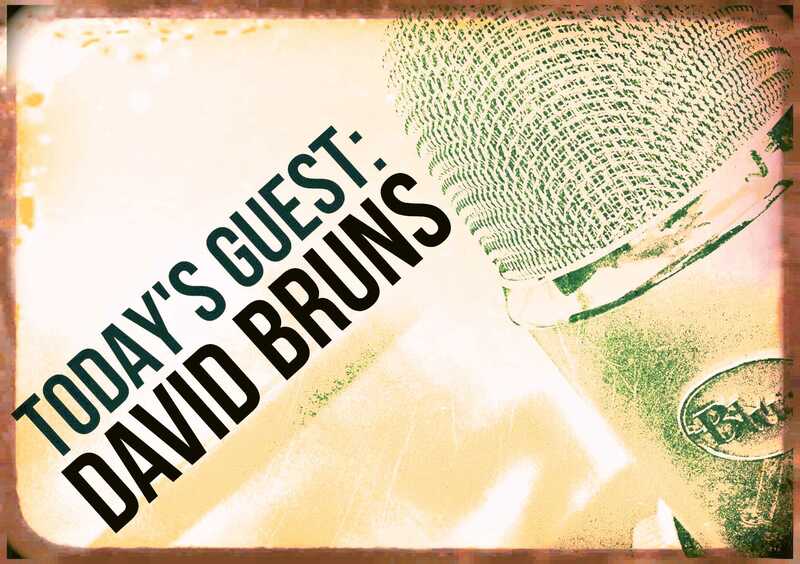 Today’s guest is David Bruns , the creator of the sci-fi series The Dream Guild Chronicles  and one half of the Two Navy Guys and a Novel  blog series about co-writing a military thriller. 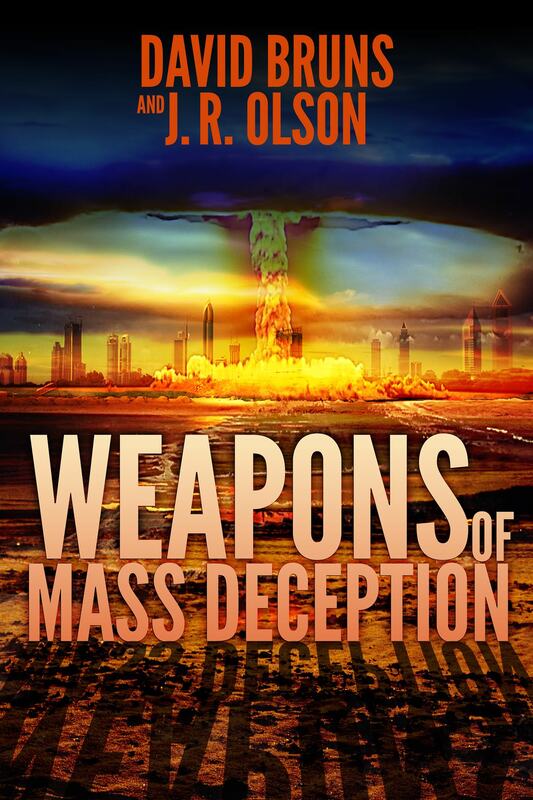 His latest novel is Weapons of Mass Deception , a story of modern-day nuclear terrorism that could be ripped from today’s headlines. David is a graduate of the United States Naval Academy, and he served six years as a commissioned officer in the nuclear-powered submarine force. After twenty years in the high-tech private sector, he traded in his frequent flyer cards for a career in writing. Writer Unboxed is about the craft of fiction and my post is about the craft lessons I learned from attending a StoryMasters workshop. I approached WU first because of your connection with Don Maass. My hope is that other writers will be encouraged to use workshops as a way to hone their writing skills. Connect with David on his blog , on Facebook , and on Twitter . Sometimes you just need to jump into the deep end of the pool. Take, for example, my New Year’s writing goal to attend a craft workshop. When the opportunity to attend StoryMasters in February came up on my radar screen, I decided to knock out one of my 2015 goals early in the year. StoryMasters  is a 4-day intensive seminar on the craft of writing co-taught by Chris Vogler, James Scott Bell, and Don Maass, all well-respected teachers in the fiction writing community. Using complementary teaching and story-building techniques, the three “masters” each shared an entire day with us. Here’s a sampling of what I learned. 2. “A story is a conspiracy to teach a lesson.” I liked this Chris Vogler quote so much it now occupies a spot on my wall. Audiences come for the thrills (the external story), but they stay for the moral lesson (the inner journey). Give the people what they want. 3. The Mirror Moment. A few weeks ago, as I was revising my own novel, I had a character that just would not cooperate. A writer friend read the manuscript and pointed out to me that my character lacked a “turning point.” It was true. I had done some great buildup and resolved things at the end, but completely missed the scene where she faces herself and makes the decision to change. In his book, Write Your Novel From the Middle , James Scott Bell makes the argument that the “mirror moment” is the place to start with your character. Until you decide how your character is going to change, you don’t really have a story to tell. 4. Pet the Dog. This is another euphemism from Mr. Bell to represent the point in the middle of the story where you remind your reader why they should care about your flawed protagonist. When Dirty Harry saves the stray puppy in a gun battle, or when Katniss teams up with Rue in The Hunger Games, these are “pet the dog” moments where the protagonists put themselves at risk to help a weaker character. This vulnerability builds an emotional bridge to your reader. 5. Micro-Tension. A real eye-opener for me was Don Maass’s session on how to introduce that “I have to keep reading” feeling into your prose, a state he calls “micro-tension.” He took random selections of dialogue, exposition, and action from workshop attendees and demonstrated how we could infuse an element of anxiety or uncertainty into the story that can only be resolved by reading the next line. You want your readers to keep turning pages? Introduce micro-tension into every single sentence. 6. Use Secondary Emotions for Maximum Impact. A corollary to Maass’s micro-tension is the use of secondary (conflicting) feelings to amplify the emotional impact on the reader. Consider this line: “I recoiled in horror at the bleeding body lying in the center of the floor” with this one: “I loved seeing him lying bleeding on the floor—and I hated myself for it.” Why does the second pique your interest? Because the character is experiencing two conflicting emotions—joy and horror—at the same time and we want to know why. Maass went through a process to help us excavate the emotions of a scene and retell it for maximum impact by focusing on secondary emotions. These six gems were only the tip of the iceberg. By the time the four days ended, my head was bursting with ideas about how to implement all these wonderful techniques. In case you’re wondering, my secondary emotion was a paralyzing fear that maybe I wasn’t up to the writing challenge. But nobody ever learned to swim without getting wet. Dive in—the water’s fine. Have you ever taken a plunge on a writing goal? What did you learn?